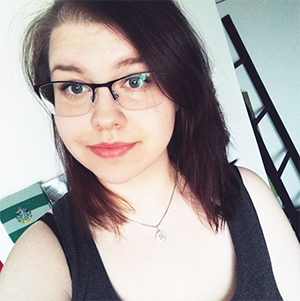 Last week, a few days before my move(!! ), I went to Cafferie (maybe better known as Café Regatta as it was called before) with my friend Moa. I had offered to buy her lunch as a part of her birthday present. Unfortunately they were out of the chanterelle soup by the time we went there (it's the best! 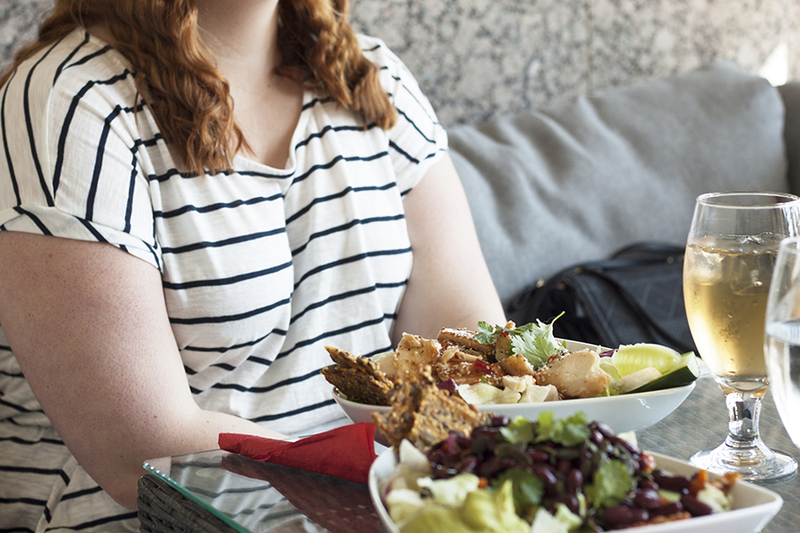 ), but instead we took a salad each. My friend went for an asian sesame salad with chicken, and I decided to go out of my comfort zone and took the vegan one. 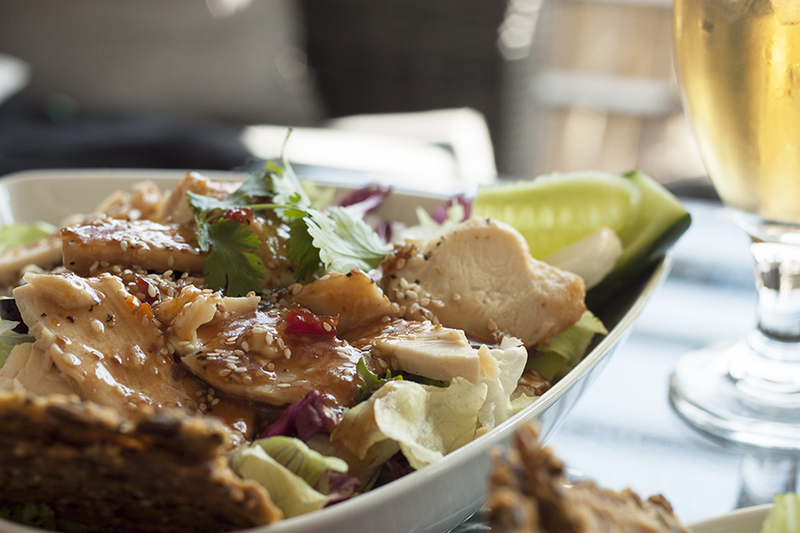 The asian sesame with chicken salad. My vegan salad. 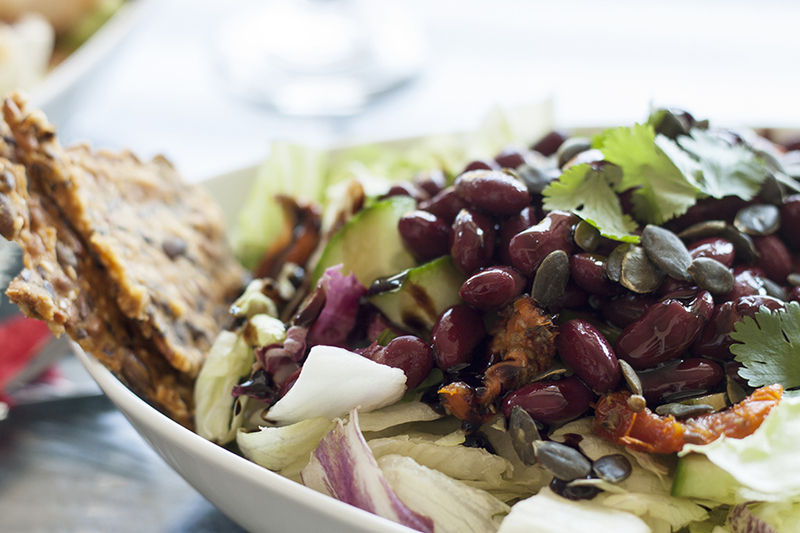 It consisted of lettuce, cucumber, sundried tomatoes, guacamole, kidney beans, pumpkin seeds, and balsamic vinegar, topped with some parsley. 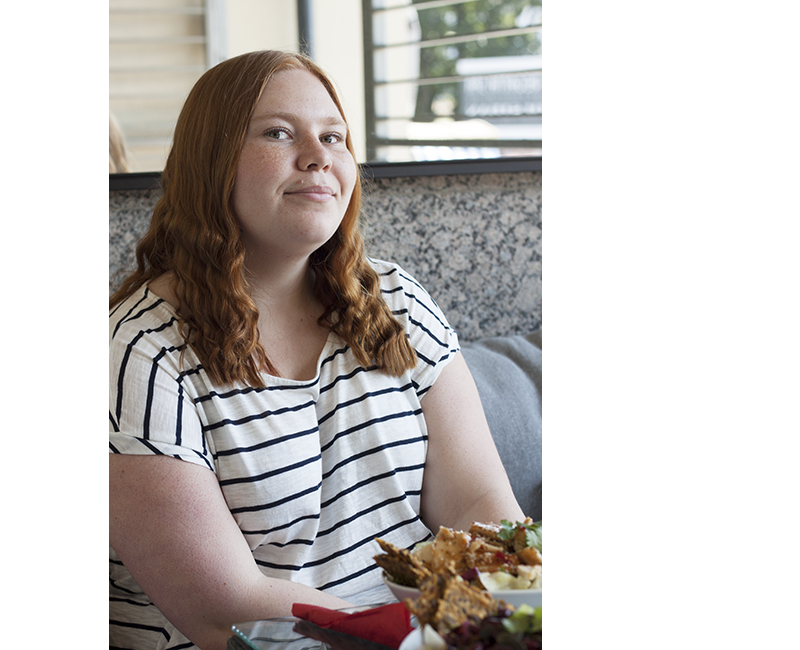 The reason I said I stepped out of my comfort zone is because I'm not a fan of beans or avocado, and I had never really tried sundried tomatoes. I'm glad I chose this one though, because the tomatoes were the only thing I couldn't eat. If you're ever in Hanko or Ekenäs during lunch time, I strongly recommend trying Cafferie. 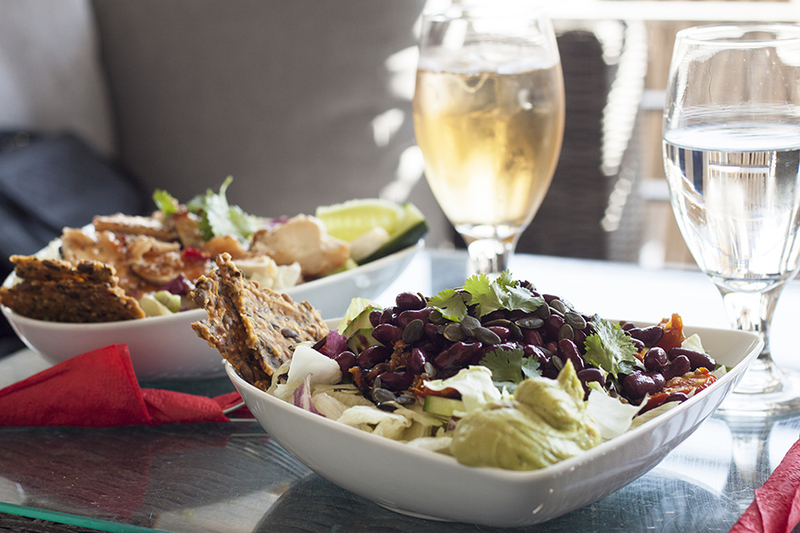 They have super good lunches and their salads are always available to order. They also offer cakes, which I actually haven't tried myself, but I'm sure they're just as good as their food. The café is by the sea, so besides the good food, you also get a pretty great view. 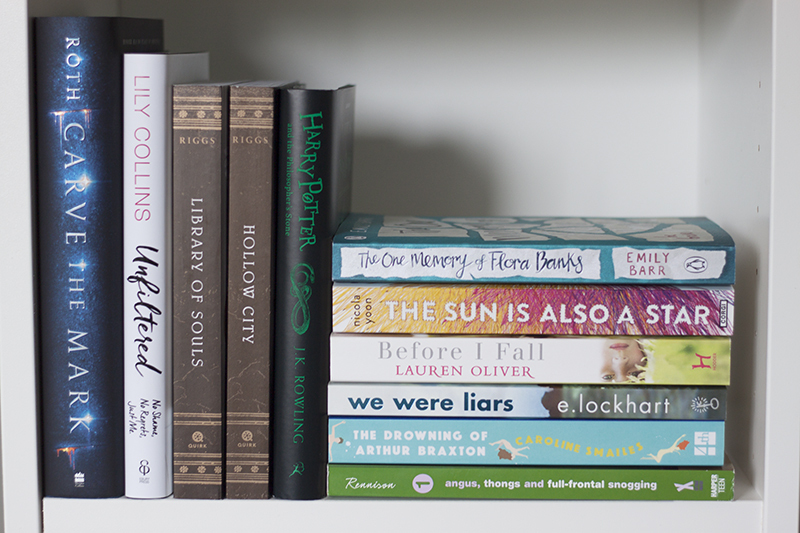 When you own about 80 unread books, what is the one thing you need more of? Yes, that's right. More books. 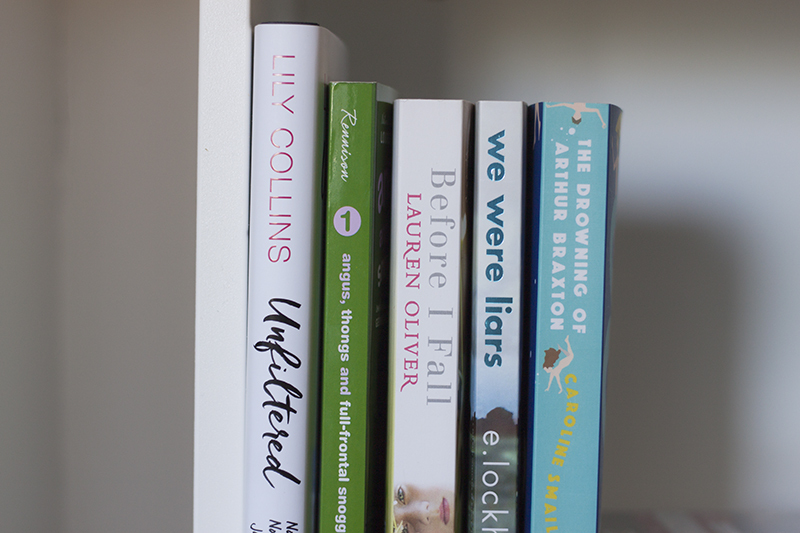 I placed an order consisting of five books earlier this summer, and besides that I've also bought some other books here and there. 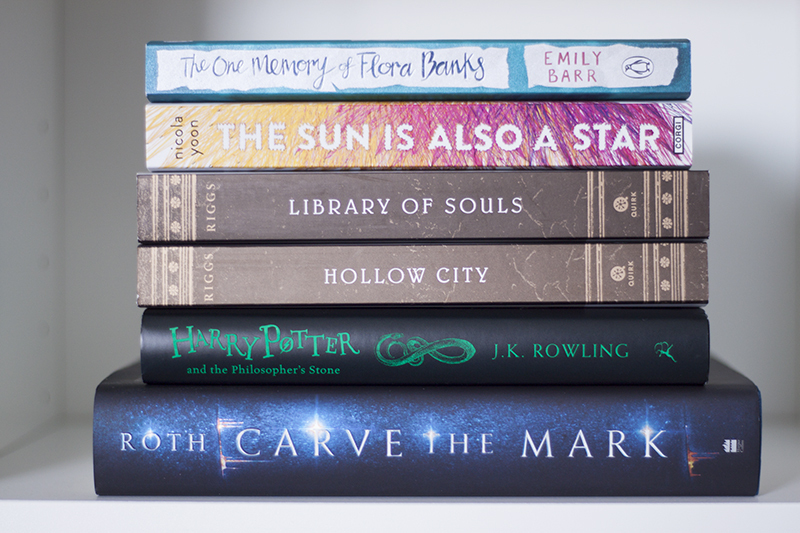 All of these books are bought between April and July, except for The Sun Is Also a Star which I bought already in January. Lily Collins is my biggest woman crush, favourite actress and overall a person I really love. When I heard she's writing a book, oh you have no idea how excited I got! I decided to wait a bit until I bought it, so when I decided to buy some books this was the first one I added to the basket. I haven't read it yet, but it's next on my TBR. 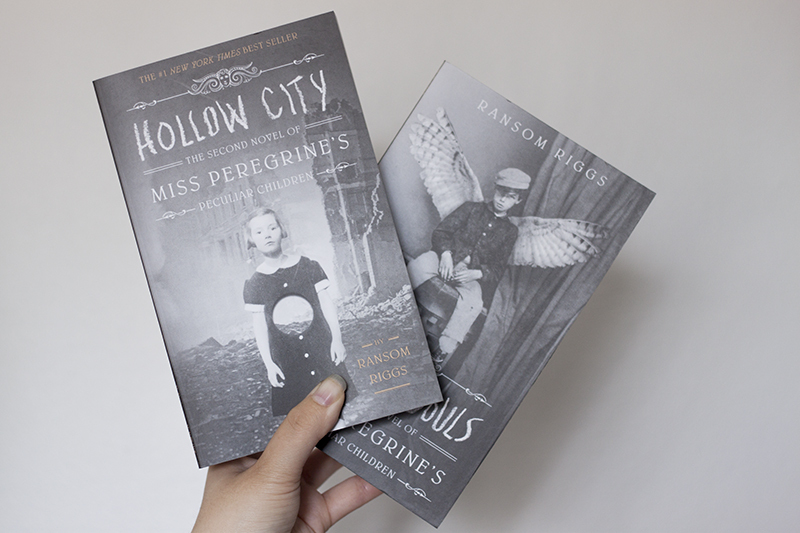 I read Miss Peregrine's Home for Peculiar Children earlier this year (link to review, opens in a new window), and when I went to Helsinki a few days after, I decided to look for the other two books in the series. I found them, and now they're sitting on my bookshelf waiting to be read. As I mentioned in the review, I'm excited to see how the story continues. Not sure when I'll be getting to these though. Look at this one! 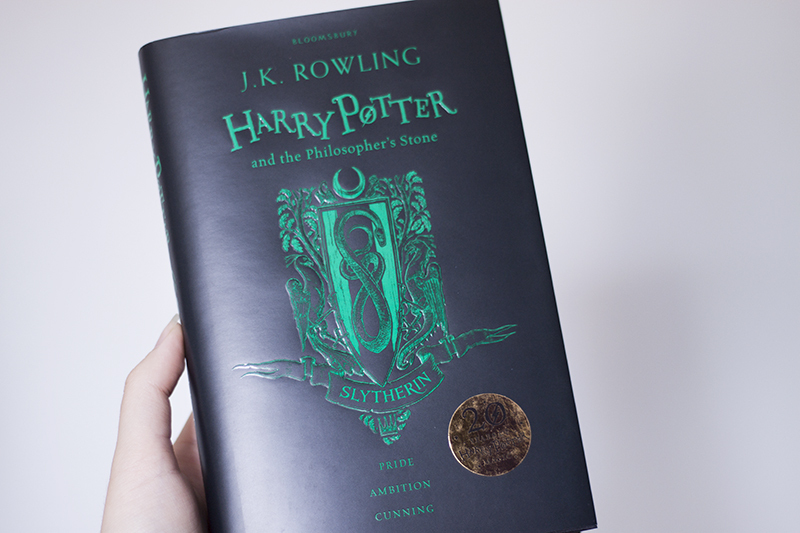 It's the 20th anniversary, Slytherin edition of the first Harry Potter book. There's some information about the house, but otherwise it's just the regular book on the inside. The outside though, so so so beautiful. And so hard to get a good picture of. This one has been on my "to buy" list for a very long time. I wasn't familiar with this book until summer 2015 when youtuber Luke Cutforth announced he needs help funding his idea to make this book into a movie, and ever since I've wanted to read it. I finally own it, and I'm excited to read it in the near future, hopefully before the movie is finished. Everything, Everything is a contemporary novel about Madeleine, who hasn't left her house in seventeen years due to her disease. She has lived her whole life indoors with her mother and her nurse Carla, so she doesn't really know anyone from the outside world or know what it is like to be there. Even a minute outside could kill her. People have moved in and out of the house next door during the years, but this time it's different. 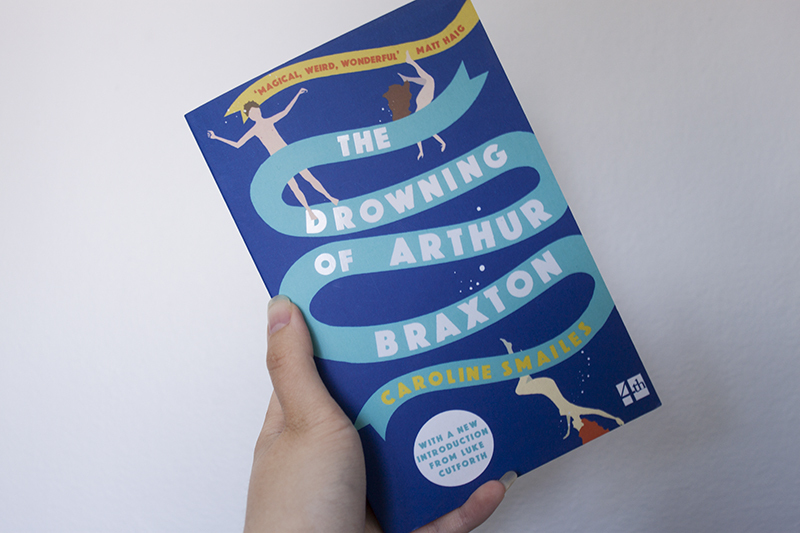 The family moving in this time will change Madeleine's life, or to be more exact, the boy, Olly, will change her entire life. Everything, Everything is about 300 pages long, but most of the chapters are really short, so it's incredibly fast to get through, and the language is more on the simpler side so it's also an easy read. 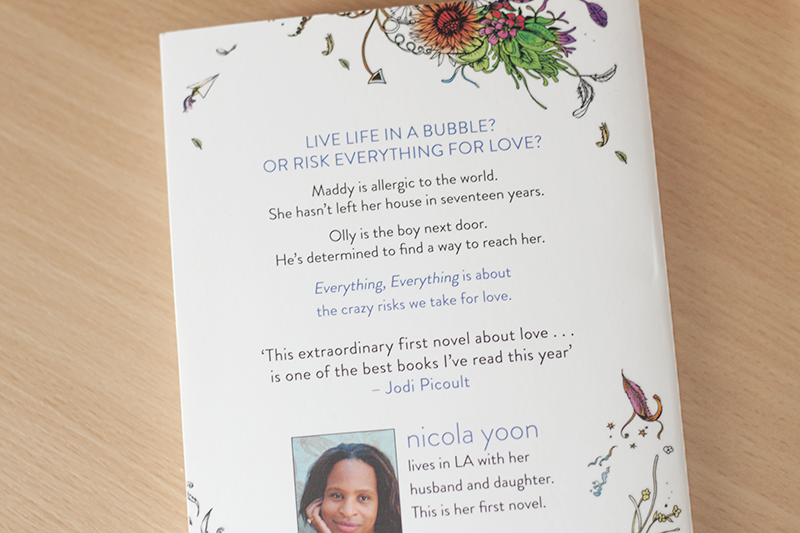 The author, Nicola Yoon, has a talent with using words and making basic, informal words transform the sentence into something completely else. I loved the fact that the book isn't just 300 pages full of words, but there's also for example online chats between the characters, lists and hand-drawn illustrations in the book, which add a little extra to it, and especially the illustrations allow the story to come to life. Although the thought of a story about a girl who has never been outside might seem a bit depressing, this really isn't. Madeline has spent her entire life indoors, but she still has such a positive view on life and makes the most of it doing what she can. Carla, the nurse, has a bright personality too, which brings even more positivity into the story. The love story between Madeline and Olly start from nothing and changes into love in practically no time at all, which makes it feel somewhat unrealistic, but then again, why wouldn't it be possible to happen in real life too. The ending gave me mixed feelings. It really wasn't what I had expected, not at all. While I didn't mind the plot twist and the ending, I feel like it's something the majority of the readers might not like. It did feel rushed too, at least for me personally. It was like the writer got to the thing, and then just wanted the book to end as fast as possible. How did the thing affect life, the relationships etc. in the long run? Did things stay like that forever or did it change? What happened? I wanted to know more, before the last few pages came along and the book ended. 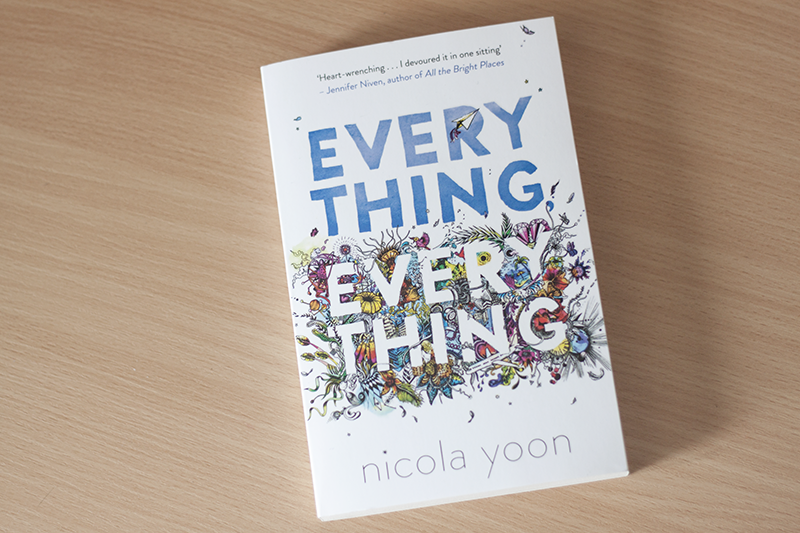 Everything, Everything is overall a really lovely and cute young adult novel, an exciting and easy read. 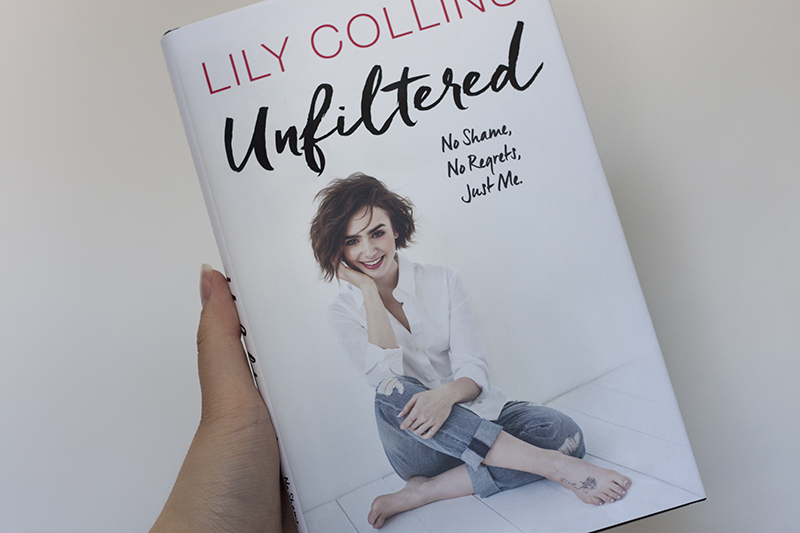 If you're in a reading slump, in the mood for a short book or just want to read a young adult, contemporary novel, this is the perfect book for you. If you're a seasonal reader, save this one for the warm summer days (or day, because you'll probably finish it in a few hours).